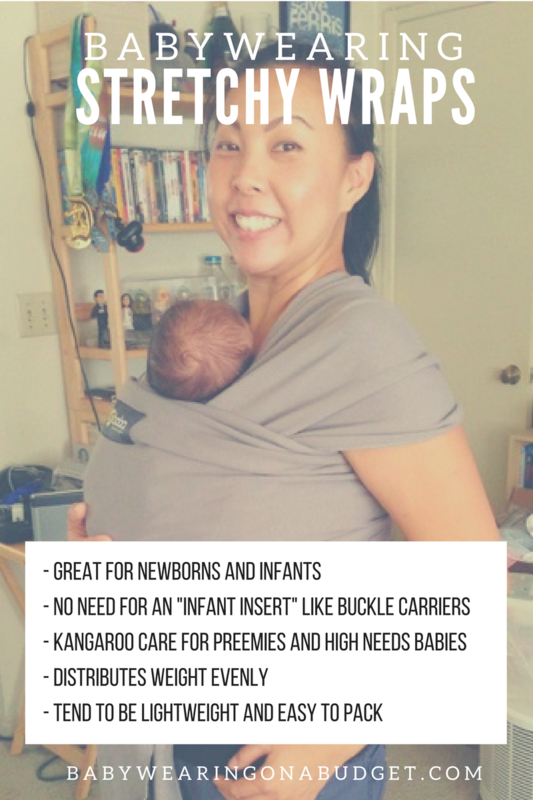 There are two main(stream) types of wraps to wear your baby – a woven wrap and a stretchy wrap. The stretchy wrap is usually made of a soft knit fabric with some stretch to it (like spandex). These wraps tend to be sold at one size fits most. The differences can come from the weight of the material, stretchiness, density, breathability and price.